Our company is well-known for its reliable Export Ocean Freight Forwarding services on major Ports globally. Our team has liaisons with the concerned authorities so as to ensure smooth flow and management of the consignment being exported to various parts of the world. We handle the documentation process for our clients and plan arrival times, departure times, routings, etc to suit the individual requirements of the clients. 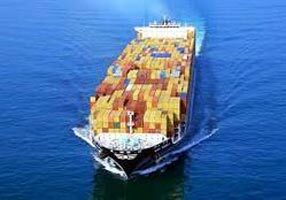 We source the right kind of vessels according to the cargo type and make every arrangement for safe and timely delivery of the cargo.